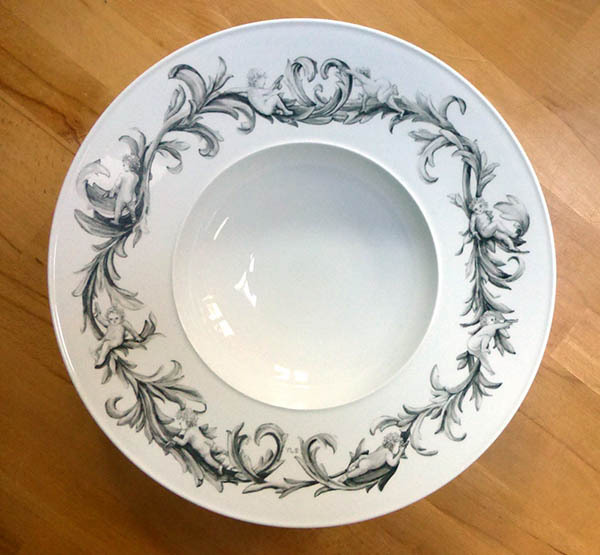 elaborated hand painted decor, that adorns a large KPM fruit bowl. a gun instead of bow and arrow. and putti, all citations of luxury, appear to be as cute as they are absurd. Back to Earth, from Picasso to Ai Wei Wei. 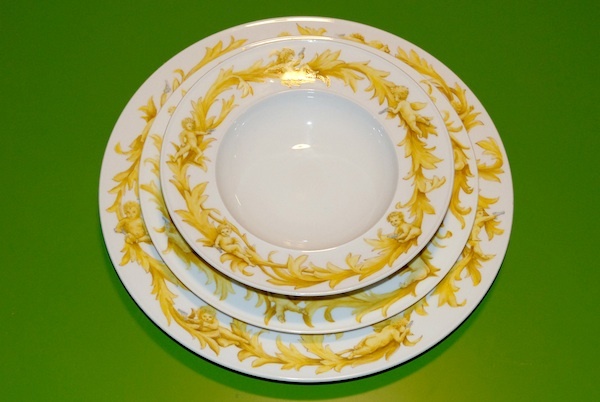 One set of 6 ach with 3 plates, 18pcs.